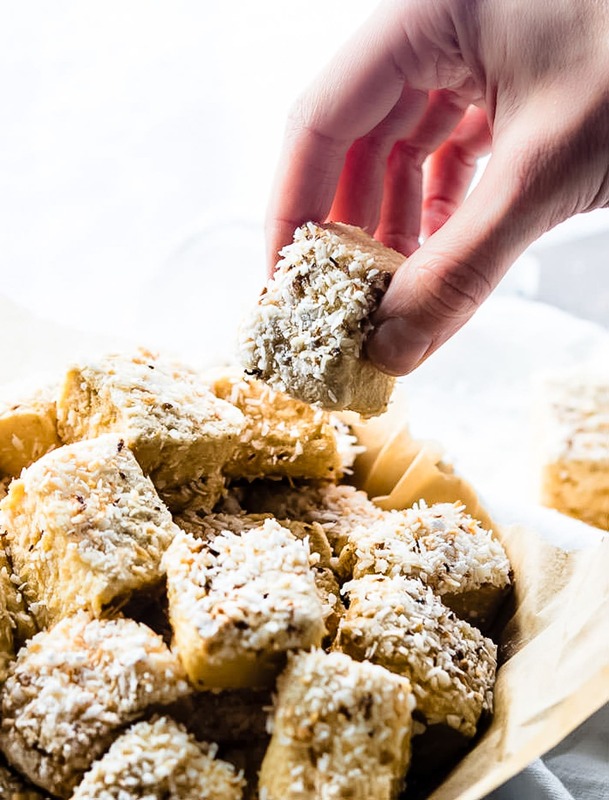 Fluffy toasted coconut homemade marshmallows. Delicious homemade marshmallows that are grain free, and made without any corn syrup. These homemade marshmallows are simple to make and made with real ingredients. So much healthier for you compared to the store-bought kind, and better tasting too! Well, in my humble opinion. Hello friends and Happy Good Friday! I will be honest, this week has been a “fluff” week and I’m so glad that we have a calmer Holiday weekend. Yes, a fluff week. Fluffy like these homemade marshmallows. Fluffy as in fluffy thinking. Having little or no intellectual weight. Yes, my brain.. it’s been full of fluff and air and I kind of just checked out on Wednesday because I was toast (figuratively of course). This usually happens when I have so much to do (or so I think I need to do) and don’t know where to start. BUT…. this time I made peace with the fluff and then decided to tackle just 2 important things instead of the 10 I had envisioned. Therefore, I did not have time to reshoot and edit these FLUFFY toasted coconut homemade marshmallows. Nope. And I’m not fond of my pictures, nor do I have that many, but you know what? That’s just the fluff talking. And I made peace with the fluff, remember? 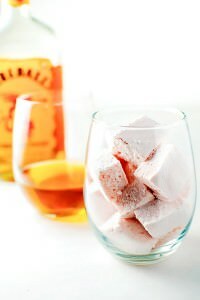 I did, however have time to WHIP up this post and share this all natural NO CORN SYRUP ADDED homemade marshmallow recipe. With toasted coconut I might add. And I managed to eat half of them and share the rest with my friends, family, co-workers, etc. See… two very crucial tasks accomplished. Or was that 3 tasks? I’ll let you decide because my brain is still fluff. I think many people will be surprised at how easy ANY homemade marshmallows are to make. And ironically, I find making food from scratch therapeutic, even if you have to wait longer for the final product. Like for instance, this natural gelatin in the marshmallows. It needs patience and little TLC for it to rise do it’s all natural thing and set. Can you relate? I sure can. Haha. Taking extra time to make something from scratch, with real food, with real ingredients, but without it being complicated, that’s bliss! It takes your mind off what you may be overthinking about and fills it with “light hearted” thoughts. Like… “oh wow this smells amazing.” Thoughts about the the toasted coconut. side note —> this batter totally tastes like fluff spread. YUM! 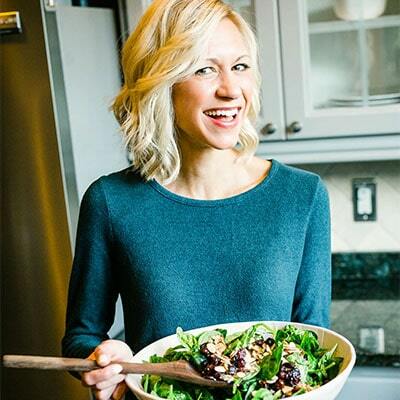 Thoughts like ” I can’t wait to share these with others.” I love remaking people’s favorites into a healthier gluten free option, then teaching them how to make their own version… EASILY! And how perfect are these homemade marshmallows for Easter treats? Whoops, lost my train of thought there but you can my point. Food is love. Sharing is caring. And all that food for thought. Haha, pun not intended. Case and point. Check out the recipe. 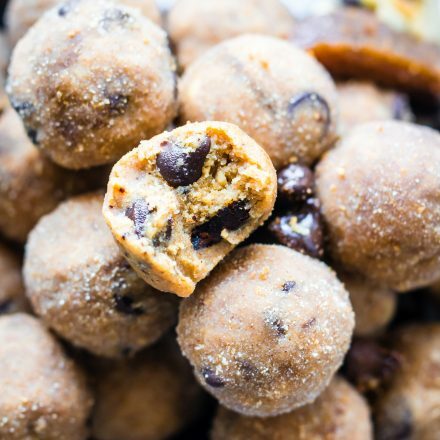 Minimal ingredients, real FOOD ingredients, and so much love! preheat oven or toaster oven to 350F. 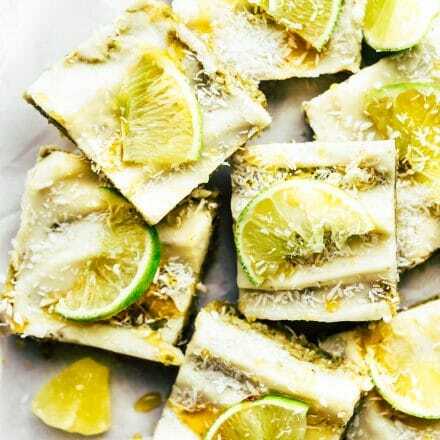 Place coconut shreds on parchment paper on baking tray. Next, place your gelatin in the mixing bowl with 1/2 cup of cold water. Let it sit for about 10 minutes to form. While gelatin in sitting, prepare the sugar. 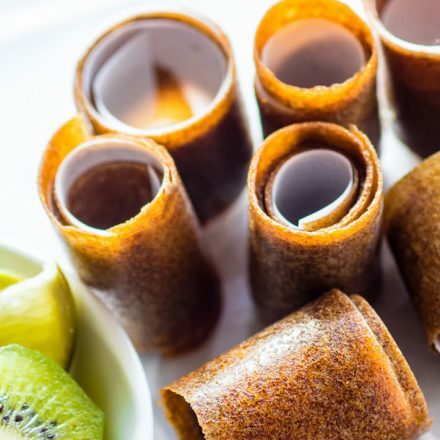 Combine your coconut sugar, salt, and honey in a small sauce pan. Cook covered on medium high heat or close to a soft boil for 3 to 4 minutes. Remove lid/cover and continue to cook for about 7 more minutes. 10 minutes all together. You want the sugar water mixture to reach a high heat close to 240F. I used a thermometer to check. If you have a candy thermometer you can use that, or just go by time. 10 -11 minutes all together. Then remove from heat. Next turn your stand mixer on low. Once it starts mixing with the gelatin, slowly pour in your hot sugar mixture. add your extracts and then turn mixer on high. let is mix/whip for about 10 minutes on high. Check after 10 minutes to make sure it’s all fluffy and mixed well. See pictures above. While the mixer is on high, you can get your pans ready but coating them (sides and all) with a little oil or nonstick spray. I used a large casserole dish but a baking pan works as long as it is big enough to hold batter. Place your coconut, potato starch, and powdered sugar in a bowl and mix together. Feel free to mix in some more regular non toasted shredded coconut if you’d like.Then spread half this mixture at the bottom of the pan. spread it around evenly. Next pour your marshmallow mixture into your floured/greased pan. Spread the marshmallow mixture around evenly with a spatula. Top with the rest of your coconut/sugar/starch mixture and any other additional toppings you like. Let it sit uncovered for about 12 -24 hours. 24 hrs to really let dry out. Once the marshmallow batter has set and is firm enough to eat, then you can get ready to cut into squares. Use cutting board or wax paper and flip your pan of marshmallows over onto the board. 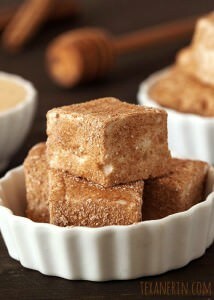 If marshmallows are a bit sticky on top, add more starch/sugar, then cut into cubes. Add more coconut if desired. Enjoy! Keep the rest in a closed container or ziplock bag. 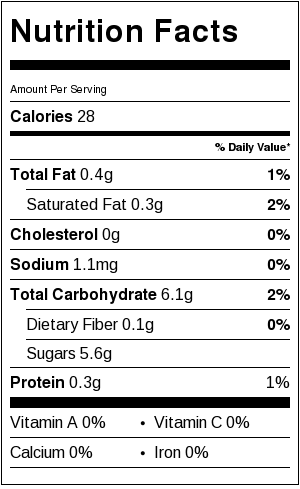 Nutrition – 28 calories per marshmallow, 6 carbs, 5 sugar, and 0.5 grams protein. For mini marshmallow recipe, see food network. Alton Brown has a great tutorial. Okay, now that I’ve shared the recipe, let’s end with my last task. Post conclusion. We all have those fluff weeks. And I’m totally okay with them (now). We need to give ourselves a break and just focus on a few things, then not worry about the rest. I say we, yet I’m really reminding myself to take my own advice. And I’m hoping that it will be engraved in my head. My fluffy head. So friends, do yourself a favor. Make something extra special and homemade this weekend. Heck make these marshmallows. 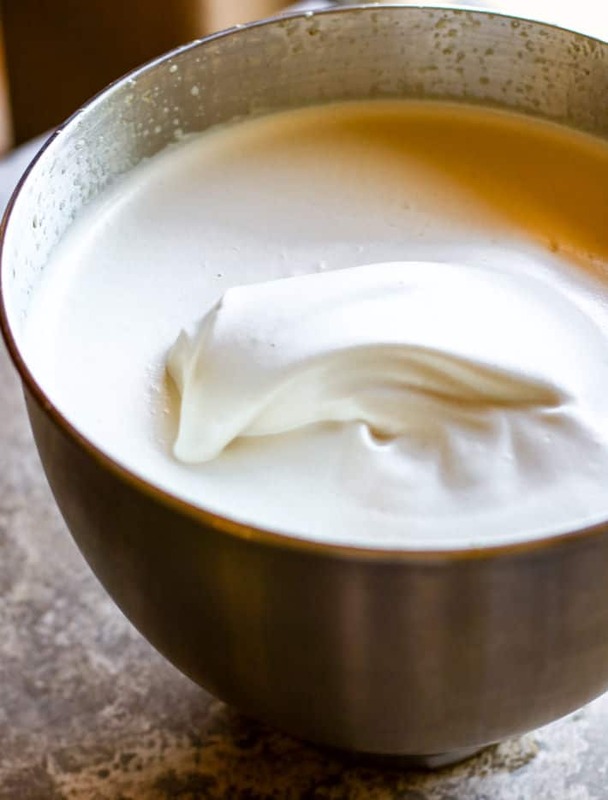 They are so easy to make, not to mention FUN whip up. But I’ll let you in on my secret childlike discovery. They are even more fun to pull apart and eat. Or put in your oatmeal or gluten free cereal. Yes, that happened and it was glorious! Because I know we all want more fun homemade Marshmallow recipes (to feed the fluff), I leave you with these recipes! ENJOY! Need a video DIY marshmallow tutorial? Check out Purely Twinss for that! Plain jane marshmallows or flavored? Ever made your own? This looks like heaven to me, seriously! 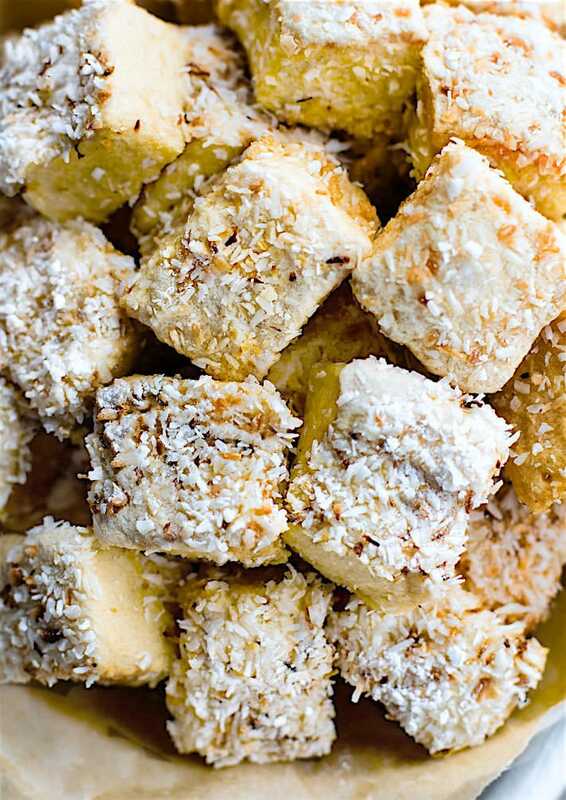 I’ve always wanted to try a recipe for marshmallows and I think the toasted coconut is the push I need to actually make these. Genius! do it! and dip it in your fudge —> S’mores (paleoish) YES!!! I’m dying over here–these look SO good. 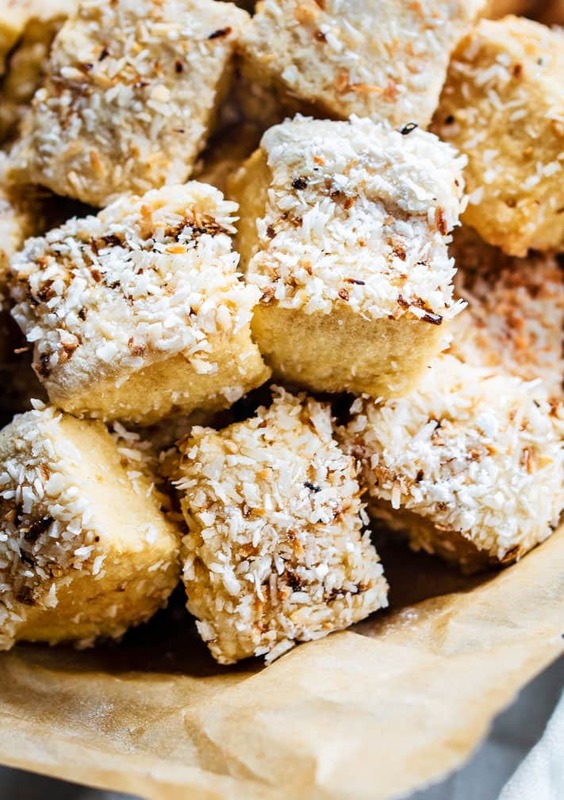 It doesn’t hurt that I’ve been on a huge coconut kick lately–gimme ALL the toasted coconut. we should make a coconut marshmallow sandwich with your bread… EPIC! At the restaurant that I worked at in Charlotessvile, we made cranberry marshmallows for the butternut squash soup. It was…. amazing. okay i gotta try that next! genius! you could EASILY make these! it’s simple really. Message me if you need help! Oh yum!!! I’ve never made my own fluff. it doesn’t sound to hard. The only problem? I would eat them all! haha yes. that was hard. my husband ate a ton. I am surprised he wasn’t sick of them! I still haven’t tried making marshmallows again since I got my stand mixer! It’s on the list! 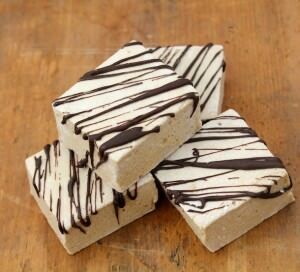 I need allergy-free vegan marshmallows so bad…I have to get it done! try using agar agar instead of gelatin. I heard that works too! on my list to try next. keep me posted on if you do! Looks so good- my kiddos would LOVE these! Ps. Love the new set up of the site- so awesome! thanks friend. I redid my site in february. I really am liking this style. These look amazing!!! I want to DIG IN right now! totally allowed fluff every day! I need to try these with my kids. They adore marshmallows. I didn’t even know you could make them so easily! Trying!!! The recipe I normally use has loads of sugar and corn syrup…which is why I only make them once a year. I’d love to have a healthier recipe to make more often! I have always been terrified of making marshmallows. Legit scared. But there look so amazing… I may have to break down. There’s nothing quite so yummy as a homemade marshmallow. Annnnnnd we were JUST talking about s’mores. Omg these are magical. I’ve always wondered how marshmallows are made. I guess I could have looked it up haha. Thanks for sharing!! 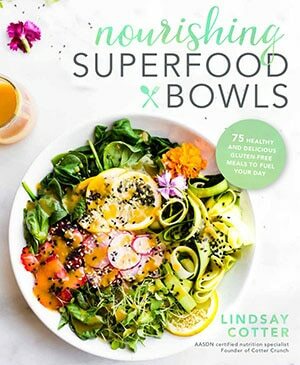 Reading this “Taking extra time to make something from scratch, with real food, with real ingredients, but without it being complicated, that’s bliss! It takes your mind off what you may be overthinking about and fills it with “light hearted” thoughts” yes – this is why I <3 YOU! I am so glad your week was fluff-filled – because these – these are just eye candy to me! I have never seen a receip ewith potato starch in them though – is that what holds them together? I was gonna try the sugar free option but i thought i’d save that for another batch, after easter. haha. THe potato starch is just in place of corn starch. so it doesn’t stick to pan and can flip well. It gives it a nice powdered texture with the powdered sugar but with a heavy flour taste. if that makes sense? Add bourbon to these and you’ll be happy! i am same. I will make the sugar free version next. the gelatin is awesome for muscles and joints. NuNaturals is sending me a bag of their new gelatin!!!!!! Their banana flour too! Do you work with them? Girllll, you are SO clever! These look incredible! thanks friend! i am glad you like! i hope your day is going better..there is so much happening around us..we sometimes forget to rest, take a break and focus on whats really important to us..i have never made marshmallows at home, let alone the glutenfree version. i will share this with my GF people..
How fun! And I agree, the smell of toasted coconut is hard to beat. Whaaaaat I didn’t even know this was possible. I’d love to toss one of these in a smore! I. Can’t. Wait. To. Make. These! Ok so I want to make these but I don’t. Toasted coconut and marshmallows separately are my thing. Like, more than my thing – my life. So I feel like if I made these, I would be playing a mean game of Fuzzy Bunny by myself, shoving these in my mouth with zero willpower. THEY LOOK AMAZING! Omg you crack me up! That game is awesome! And yes ,worth making these for and stuffing you’re face. LOL! WOW! 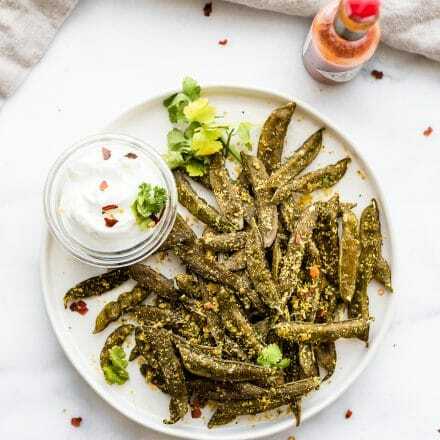 These look like little bites of perfection! 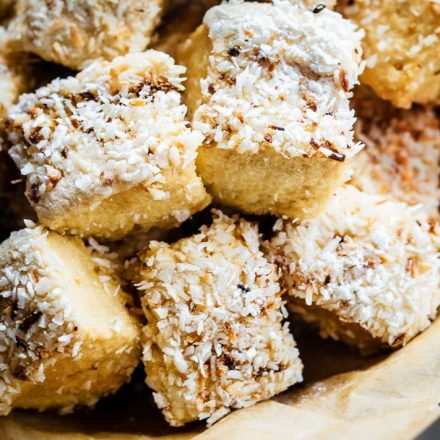 I love that you made them with toasted coconut too, that’s such a great idea!! yea! let me know if you do. HOmemade is so much better. agreed! Of course you made your own homemade marshmallows. You can call it fluff or simply fluffy; I say you’re amazing. I say youre amazing… DAILY! I miss you. Not sure how I missed these, oh yeah I was traveling back home. The last couple weeks are still a little blurry. I cannot wait to give these a try! Pinned because I think we could have some real fun with them during the holidays! These look seriously amazing. Oh my! I have a weakness for marshmallows. I made these today! With a few substitutions according to what was in my cupboards. They were so satisfying and such a tasty treat! Thanks for a great, simple recipe ? wonderful! what kind did you make? These are absolutely incredible. I have a serious craving now! I will rate 5 stars for this. So amazing!! its so delicious and sweet . i have no word to express its sweetness and it become one of my fav. dish , i will make it on every weekends. thanks you for very useful this sharing. this is my one of fav. i love to make it at home.